Matt is a Vice President with Concentric Equity Partners and joined the firm in 2018. He is responsible for originating new investment opportunities, executing new investments, and working with portfolio companies. Prior to joining Concentric, Matt was with H.I.G. Capital, where he focused on middle market private equity investments in the business and consumer services verticals. Prior to H.I.G., Matt worked at Bain & Company, advising industrial and business services companies on developing and executing key strategic initiatives. 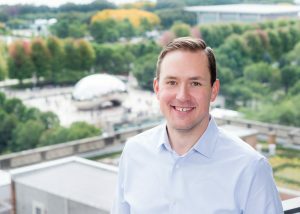 Matt began his career in the investment banking division of Citigroup Global Markets and with CHS Capital, a Chicago-based private equity fund. Matt holds a B.S. (honors) and M.S. in Accountancy from the University of Illinois at Urbana-Champaign, and an MBA (honors) from the Wharton School of the University of Pennsylvania. He currently resides in Wilmette, IL with his wife Betsy and their two children.